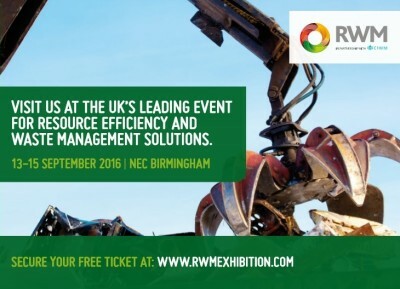 RWM (Resource Waste Management) is the UK’s biggest event for resource efficiency and waste management solutions, covering all aspects of the waste hierarchy. The event will bring together technologies, machinery, experts, decision makers and services from across Europe. Ground-Guards will, or course, be there. We’ll be showcasing our range of industry-leading ground protection solutions, including the exciting new MaxiTrack – the world’s most heavy duty and man-handleable trackway system – which was launched earlier this year. Visit us on Stand 5S94 in Hall 4-5.